North Carolina’s Marquise Williams (12), Elijah Hood (34) and their teammates continue to win wearing the argyle pattern. The North Carolina football team won 11 of 12 regular-season games and made it to the Atlantic Coast Conference championship game this year, all while wearing uniforms that include the argyle pattern made famous by the U.N.C. men’s basketball team. 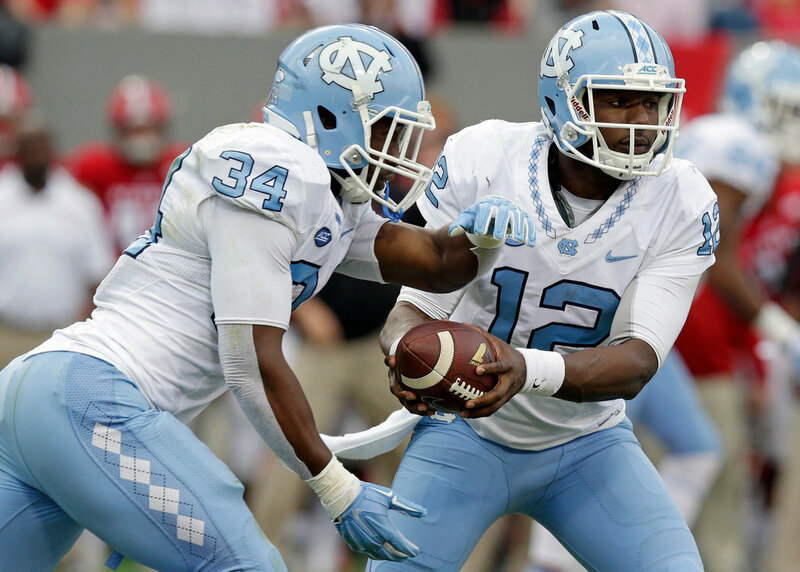 In the Tar Heels’ first game wearing interlocking diamonds on their helmets, collars and pants, they lost to South Carolina. But U.N.C. then reeled off 11 straight victories, a team record.